The Atlas V launch – believed to be carrying a pair of ocean surveillance satellites to locate ships at sea, in a mission designated NROL-36 – launched on Thursday night at 21:39 GMT (2:39pm Local), from Vandenberg Air Force Base in California. The launch suffered from several delays since its initial August 14 launch date, prior to Thursday’s lift-off. The Atlas V rocket is expected to launch thirteen satellites in total. In addition to the classified NROL-36 spacecraft, eleven CubeSats were understood to be deployed as secondary payloads. The launch – from Vandenberg – was originally rescheduling to no sooner than August 14 following the Range issue. “The launch of an Atlas V carrying the National Reconnaissance Office NROL-36 payload has been further delayed to no earlier than Tuesday, Aug. 14 to provide additional time for resolution of a range instrumentation issue that developed during the initial launch attempt Aug. 2. There are no issues with the Atlas V vehicle or the NROL-36 space vehicle,” noted an official statement from ULA on August 3, the day after the scrub. However, it became clear the mission would not be able to make that date, as much as hopes were high the launch could take place by the end of August. Following a managerial meeting, it was decided to provide additional margin, by rescheduling to September 6. The latest slip to the launch date was in relation to range availability. “The NROL-36 mission leadership has established a new launch date of Sept. 13 and a request for this new launch date on the range has been submitted to the 30th Space Wing. The previously planned launch date of Sept. 6 was not available on the range and mission managers have elected to revise the launch date to Sept. 13 as preferred for overall operational considerations,” added ULA on August 22. While details of the NRO’s missions are usually classified – and NROL-36 is no exception, the types of spacecraft and their missions can usually be identified through analysis of available information and previous missions. In the case of NROL-36, the presence of CubeSats aboard the rocket has provided additional clues; their deployment orbit of around 490 by 765 kilometres (300 by 475 statute miles, 265 by 413 nautical miles) suggests that the NRO payload is unlikely to be deployed into a high orbit, and their expected inclination of 66.28 degrees, along with the launch azimuth, suggests the primary payload will be deployed at an inclination of 60-70 degrees. 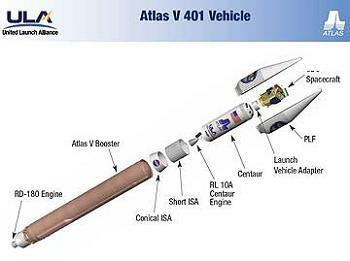 The rocket that launched NROL-36 was the Atlas V 401; the smallest Atlas V configuration by payload capacity, the 401 has previously been used to launch two types of NRO satellite; Naval Ocean Surveillance System (NOSS), and Satellite Data System (SDS). Both would be deployed into orbits with inclinations around 63 degrees; NOSS would be deployed into an orbit of around 1000 by 1200 kilometres (620 by 750 miles, 540 by 650 nautical miles) at 63.4 degrees inclination, while an SDS satellite would go to an orbit 260 by 16000 kilometres (160 by 10000 miles, 140 by 8600 nautical miles) in altitude at 63.0 degrees. While in theory both types of satellite can be launched from either Vandenberg or Cape Canaveral, most NOSS launches have occurred from Vandenberg – for current-generation spacecraft the only exceptions have been NROL-23 and NROL-30, both launched by rockets that did not have launch facilities available at Vandenberg. By contrast, all current-generation SDS satellites have launched from Cape Canaveral. Several other payloads have used orbits with similar inclinations; ELINT satellites called “Improved Trumpet” or “Trumpet Follow-On” by observers operate in Molniya orbits with 63.4 degrees inclination; however one such spacecraft was previously deployed by an Atlas V 411, suggesting that they are too heavy for the 401 configuration. USA-144, the second Misty satellite, was also launched into a 63.4 degree orbit, however since Misty is believed to be derived from the KH-11 imaging satellite, a Delta IV Heavy would be needed to launch it. The payload fairing encapsulating the NROL-36 payload was a four-metre (13-foot) Extended Payload Fairing (EPF), which was 13.1 metres (43 feet) in length. Originally developed for the Atlas II, it is the second-largest of the three four-metre fairings used on the Atlas V, being 90 centimetres longer than the Long Payload Fairing, and 90 centimetres shorter than the Extra-Extended Payload Fairing. The EPF has previously been used on launches carrying NOSS and Improved Trumpet satellites, while SDS launches use the Long Payload Fairing. Based on the information that is available, it is likely that NROL-36 will be a pair of NOSS satellites, however this is not certain. Alternatively it could be a one-off mission, part of a new series of spacecraft, or a modified Trumpet or SDS; however these possibilities are all very unlikely. Current-generation NOSS satellites are launched and operated in pairs, which orbit the Earth in close proximity to each other. Earlier spacecraft operated in groups of three, nicknamed Triads, and also included a separate dispenser to manoeuvre to their operational orbit, and deploy the three satellites. The first three NOSS satellites were launched in April 1976 atop an Atlas E/F carrier rocket with an MSD upper stage. The MSD, or Multiple Satellite Dispenser, is believed to have been powered by an FW-4D motor, and acted both as an upper stage and a dispenser for the four satellites. Nine first-generation Triads, which are also known as “PARCAE” and “White Cloud”, were launched, four using Atlas E/F MSD carrier rockets, and the remainder using the Atlas H – a rocket used exclusively for NOSS launches – with the same upper stages. All nine launches originated from Vandenberg, with the Atlas E/F launches being made from Space Launch Complex 3W, and the Atlas H launches from SLC-3E. Eight of the launches were successful, however the fourth launch failed due to the premature cutoff of one of the engines on the Atlas E/F’s booster unit. The last first-generation Triad was launched in May 1987. Second-generation satellites, which are also known as “Ranger”, were launched atop Titan IV rockets. The first flew in June 1990. Second generation spacecraft were deployed by an SLDCOM, or Satellite Launch Dispenser Communications, spacecraft. Following deployment of the NOSS satellites, the SLDCOM would raise itself into a higher orbit for use as a communications satellite. It is rumoured that the Interim Control Module developed for the International Space Station in the event of the Zvezda module’s failure was based on SLDCOM, and built from spare parts. Four second-generation Triads were launched, with one failure; during the third launch, in August 1993, damage caused to one of the Titan IV’s solid rocket motors during maintenance resulted in the rocket exploding 101 seconds after launch. The final second-generation satellites were launched in May 1996. The first launch of third-generation satellites occurred in September 2001, using an Atlas IIAS. Designated NROL-13 or USA-160, the payload consisted of two satellites, leading to speculation that a third spacecraft had failed to separate. The December 2003 launch of NROL-18, or USA-173, showed that the new satellites were instead launched in pairs. The US Strategic Command Satellite Catalog lists the second satellite in each pair as being debris from the first, unlike with previous-generation spacecraft where it lists each spacecraft as a separate satellite. NROL-36 was the sixth third-generation launch, following NROL-13 and 18, NROL-23 was launched by the last Atlas IIIB in 2005, NROL-30 was launched by an Atlas V 401 in 2007, and NROL-34 was launched by an Atlas V 411 last year. 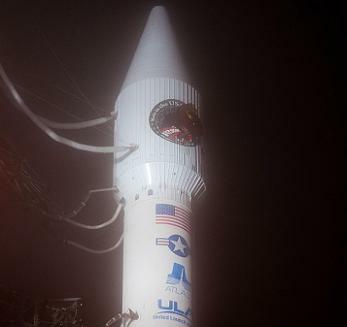 The NROL-30 launch was a partial failure, with the Centaur’s second burn ending four seconds prematurely as the result of a propellant leak caused by a faulty valve. This resulted in a lower orbit than had been planned, however the spacecraft were able to raise themselves to their operational altitude. It was initially speculated that NROL-34 launching on the more powerful 411 configuration was to eliminate the need for the second burn, however with NROL-36 reverting to the 401, the reason for changing the configuration remains unclear. 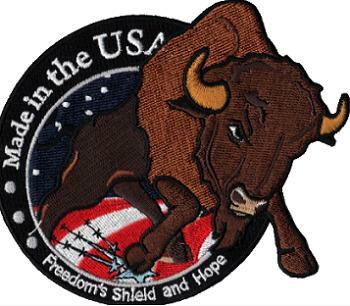 The Atlas V that launched NROL-36 had the tail number AV-033, and was named Rosie. It was the thirty-third Atlas V to fly, and the fourteenth in the 401 configuration. This configuration consisted of a Common Core Booster first stage, with a single-engined Centaur upper stage, and a four-metre payload fairing. A Russian-built RD-180 engine powerd the Common Core Booster, while the Centaur was powered by a US-built RL10-A-4 engine. The CCB was fuelled by RP-1 propellant, while the Centaur used liquid hydrogen. Both stages used liquid oxygen to oxidise the propellant. The flight profile that Rosie followed was not published, however based on previous flights ignition of the RD-180 occurred 2.7 seconds before liftoff, with the engine reaching full thrust when the countdown reaches zero, and the rocket lifting off 1.1 seconds later. Following liftoff, the rocket rolled onto a south-easterly heading, and pitched over. The first stage burn lasted around four minutes and three seconds, with the RD-180 engine throttled back to limit acceleration three seconds before cutoff. Stage separation occurrd six seconds after first stage cutoff, with the Centaur’s RL10 engine igniting ten seconds later. Around 15 seconds later, the payload fairing separated, at which point official updates on the status of the launch were discontinued. Assuming the Centaur is performing a two-burn insertion, its first burn will last about 14 minutes and 27 seconds. Once this is complete, the Centaur will enter an extended coast phase, lasting around an hour, before a second burn lasting around a minute to reach the NOSS deployment orbit. Two minutes later, the two NOSS spacecraft will separate from the Centaur; initially remaining attached to each other, and the Centaur will perform a collision avoidance manoeuvre. Normally following spacecraft separation, the Centaur would be disposed of through either pacification, deorbiting, or ejection from Earth orbit; however AV-033 will instead continue to deploy eleven CubeSats in a test of a new extended mission kit which is flying for the first time on this flight. It is anticipated that in order to manoeuvre from the NOSS deployment orbit to the published orbit into which the CubeSats will be deployed, the Centaur will have to make two additional burns to lower its orbit. Following these burns, the CubeSats are expected to separate around three hours after launch. It is unclear what action will be taken to dispose of the Centaur following the deployment of the CubeSats; however the absence of a NOTAM suggests that it will not be deorbited. The CubeSat payload is designated Operationally Unique Technique Satellite, or OUTSat, and consists of eight PPOD dispensers attached to the aft end of the Centaur via an Aft Bulkhead Carrier (ABC), which is being used for the first time on this mission. The ABC is attached to a point on the Centaur where a Helium tank would normally be located. This tank is not required on missions using the extended mission kit, as the other helium tanks have been enlarged. Four of the CubeSats were being launched as part of NASA’s Educational Launch of Nanosatellites (ELaNa) programme. Designated ELaNa VI, this will the third launch of the ELaNa programme, following the failed launch of ELaNa I on the Taurus-XL launch which was to have deployed the Glory satellite, and the successful deployment of ELaNa III by the Delta II which launched the Suomi NPP satellite last year. ELaNa II was cancelled, having originally scheduled to accompany an Operationally Responsive Space payload into orbit, while ELaNa IV and V are manifested for launches next year on Minotaur I and Falcon 9 rockets respectively. The satellites were launched as part of ELaNa VI are CINEMA 1, for a multinational research consortium, CSSWE for the University of Colorado at Boulder, CXBN for Morehead State University, and CP5 for the California Polytechnic University. The remaining CubeSats will be operated by or for the NRO and the US military. They are Aeneas, which will be operated by the University of Southern California on behalf of the NRO; two SMDC-ONE spacecraft for the US Army; STARE-A to be operated by the Lawrence Livermore National Laboratory, and three AeroCube-4 satellites for The Aerospace Corporation. The CubeSat for Ion, Neutral, Electron and Magnetic fields, or CINEMA 1, is a three-unit CubeSat built and operated by a consortium led by the University of California at Berkeley, and including Imperial College London, Kyung Hee University, and NASA’s Ames Research Center. It is the first of three satellites to be launched for the consortium which will study the Earth’s magnetosphere. The other two satellites will be launched by a Dnepr rocket later this year. Each satellite will carry two instruments; MAGIC and STEIN. Colorado Student Space Weather Experiment, or CSSWE, is another three-unit satellite which will be used to study electron and proton flux in the magnetosphere, as part of an investigation to determine how these fluxes are affected by solar flares. 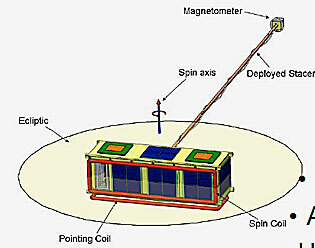 Cosmic X-Ray Background, or CXBN, is a two-unit CubeSat which will study cosmic background x-rays. CP5 is a single-unit satellite which will be used to study the use of a thin film to deorbit the satellite by increasing its drag. The two SMDC-ONE spacecraft are both three-unit satellites; SMDC-ONE 2.1, also known as Able, and SMDC-ONE 2.2, or Baker. They follow on from the SMDC-ONE 1 satellite launched in December 2010 aboard a Falcon 9. 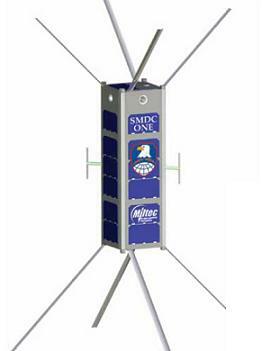 SMDC-ONE, or Space Missile Defense Command Operational Nanosatellite Effect, is an experimental communications programme intended to transmit data packets and real-time radio messages. Space-Based Telescopes for Actionable Refinement of Ephemeris A, or STARE-A, also known as Re, is also a three-unit CubeSat based on the Boeing-built Colony II bus, and is intended to study optical tracking of space debris. A second satellite, STARE-B or Horus, will be launched at a later date. 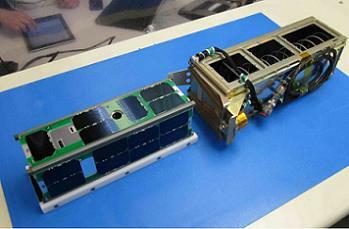 Aeneas is another three-unit CubeSat, built around the Pumpkin Incorporated Colony I bus. It carries two demonstration payloads; one will use a 50 centimetre (20 inch) mesh antenna to track electronic tags on shipping containers, whilst the second will demonstrate a new flight processor. The three AeroCube-4 satellites; AeroCube-4A, B and C, will be used for technology demonstration; testing deployable solar panels, “parachute-like” devices to deorbit the satellites, and a closed-loop attitude control system based around a three-axis gyroscope. 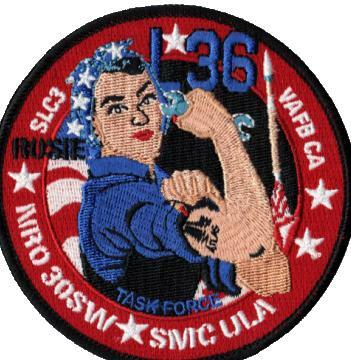 Rosie was launched from Space Launch Complex 3E (SLC-3E) at the Vandenberg Air Force Base in California. The pad was originally part of Naval Missile Facility, Point Arguello (NMFPA), and designated Launch Complex 1-2, supporting its first launch in July 1961 when an Atlas-Agena launched MIDAS-3. In 1964, Point Arguello became part of Vandenberg, with its launch pads continuing to be designated as “Point Arguello Launch Complex” until they were given their current names in 1966. SLC-3E was initially used for Atlas-Agena launches, after which three Atlas SLV-3s made suborbital launches with X-23A PRIME spacecraft, and an Atlas SLV-3 failed to orbit twelve payloads in a single launch. Following a period of inactivity in the early and mid 1970s, the complex was used for Atlas E/F and Atlas H launches in the late 1970s and 1980s. Between 1992 and 1996 the complex was redeveloped to accommodate the Atlas II, with the first of three launches occurring in 1999 with the Terra satellite, following two years of delays. The other two launches were NROL-13 and NROL-18, both deploying pairs of NOSS satellites. 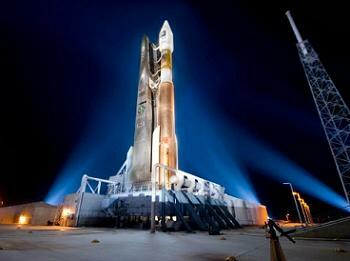 The Atlas V made its first launch from SLC-3E in March 2008, carrying an Improved Trumpet satellite, NROL-28. This was followed by the launch of a DMSP weather satellite in October 2009, and an FIA Radar satellite, NROL-41, in September 2010. The most recent launch occurred in March 2011, with the deployment of NROL-34, a pair of NOSS satellites like those expected to be deployed by AV-033. The next launch scheduled to occur from the pad will be of the Landsat Data Continuity Mission next February. The Atlas V is operated by United Launch Alliance, a corporation formed in 2006 to provide launch services to the US Government. ULA also operates the Delta II and Delta IV carrier rockets, and NROL-36 is their eighth launch of the year with three more planned. The next scheduled NRO launch is planned for next year, when a Delta IV Heavy will launch NROL-65 from Vandenberg. That payload is expected to be a KH-11 optical imaging satellite. Thursday’s launch was the fifth Atlas V mission of 2012. The next launch is currently expected to occur on 25 October, with the rocket flying in the 501 configuration and deploying the third X-37B mission. The last Atlas launch of the year is scheduled to be made by an Atlas V 401 with NASA’s TDRS-K communications satellite in December. In the meantime, United Launch Alliance will also launch a Delta IV, carrying the GPS IIF-3 navigation satellite for the US Air Force. This launch is currently scheduled for 4 October, and will be made from Cape Canaveral. (Images via ULA, US Army, and University of Colorado).